The first thing you need to do in order to avoid any future disputes, is to advertise your property in the right way by using multiple communication channels. Put clear pictures of your property in the advertisement and give correct and honest details of your property. This will ensure that only the right people who are interested in your property will reach out to you. Also, this will reduce the chances of attracting tenants whom you may not want to give out your property to. Never overstate or understate the details of your property as it will attract not only those who may be truly interested in your property but also others who would not be interested. In order to avoid any necessary dispute over property damage and missing items when a tenant empties the space, get a landlord inventory document made. It will list in detail all the house items you have in place from before in your house or apartment. It will also mention the existing wear and tear and damages (if any) to the property). This document will ensure that everything is well documented before the tenant moves in the house and after they vacate so that there is nothing left to doubt whether about any missing item, or damage. You can always verify it against the landlord inventory. This document will give you a proof of the condition of the house before the tenant moved in. 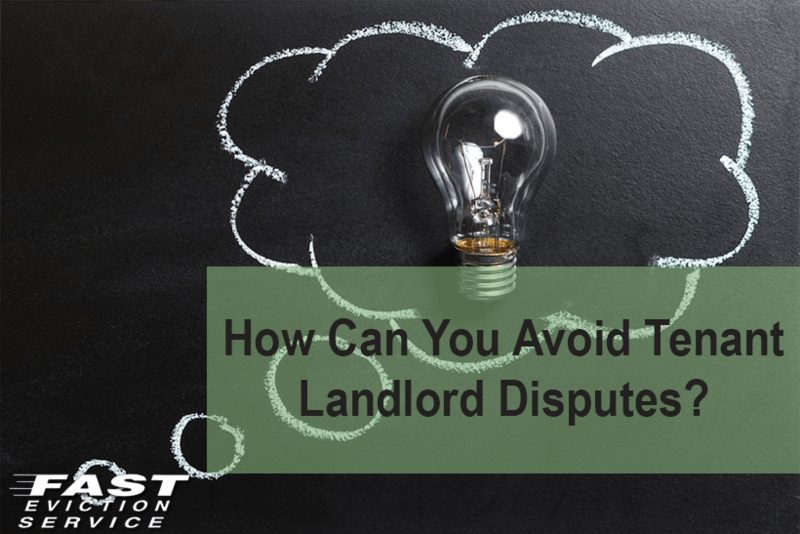 Without the proof, you can end up in a dispute with your tenant over property damage and it will only be your word against the tenant if you take them to the court. Lastly, in order to avoid any conflict with your tenant, you would want a tenant who is right for you and your property. That requires proper screening. Go through a standard assessment of the tenants who would be willing to rent your property and verify their credentials. You may also want to verify the income source and credit worthiness to ensure that they are able to pay your rent each month on time. For all this information, meet your tenant in person and ask for verification documents. The right tenants would not refuse from verifying this information and would know the purpose and they will be willing to provide you with. Ask for any references which would help you to establish their credentials and follow up on the references. A simple call will let you establish the fact if the tenant is trustworthy and responsible to be allowed to take your property.